We broke a few records here on Take Two during our passage west this week from Bonaire to Santa Marta, Colombia. We did a 382-mile passage in 54 hours, averaging just over 7 knots. 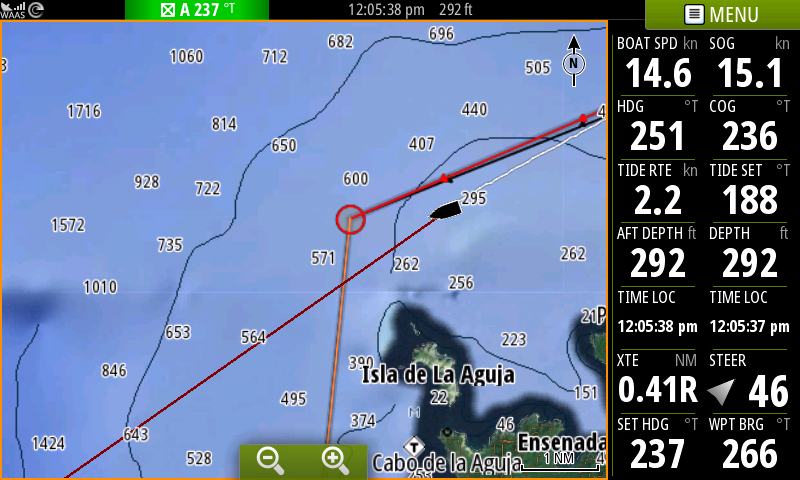 On the last day, approaching Santa Marta, we saw our biggest gust of wind at sea: 52 knots, according to our instruments! We also saw the fastest speed ever: 15 knots over ground on a wave surf, per GPS. We left Bonaire to arrive just before the first wave of “Christmas Winds” begin, but here in Colombia, they have a different term: “La Brisa Loca.” We would agree that it’s crazy to try and dock a catamaran in that breeze! We sailed into port on a different continent for the first time, and had to change our clocks as we crossed a time zone, the first time we’ve ever had to do that (going east to the Caribbean last April didn’t count because of daylight savings). We ordered dinner in a restaurant using our limited Spanish, and Aaron even negotiated for a pair of sunglasses with a street vendor! Jay, who works all day while the kids practice Spanish on Duolingo, compensates by speaking Speedy-Gonzoles-accented English. Thankfully, he knows the one phrase necessary to surviving in a Spanish-speaking country: una cerveza mas, por favor! There are people whose boats never leave the dock. They are perfectly content where they are, and I don’t fault them for that. But we have always wanted to stretch our sea-legs and go to far-flung places and give the kids (and ourselves) a dose of something besides modern American “culture.” We have no regrets about leaving familiar waters, though it certainly has not made things like work and provisioning easier. We are having the time of our lives doing the things we always hoped we would do with Take Two. For the chance to do this, we are so grateful, and we can’t stop ourselves from doing a little happy dance every time we realize how far we’ve come!